Warren, Rick. The Purpose Driven Life. Wilkinson, Bruce. Secrets of the Vine: Breaking Through to Abundance. Ohrbach, Barbara Milo. A Token of Friendship: A Collection of Sentiments, Thoughts, Gift Ideas, and Recipes for Special Friend s.
From The Purpose Driven Life to Don't Sweat the Small Stuff--And It's All Small Stuff, from	The Purpose Driven Life to Kiss Of God, we can help you find the inspirational books you are looking for. As the world's largest independent marketplace for new, used and rare books, you always get the best in service and value when you buy from Biblio.com, and all of your purchases are backed by our return guarantee. The Last Lecture is a New York Times best-selling book written by Randy Pausch, a professor of computer science, human-computer interaction, and design at Carnegie Mellon University in Pittsburgh, Pennsylvania, United States. The book was born out of a lecture Pausch gave in September 2007, "Really Achieving Your Childhood Dreams". The Power of Now: A Guide to Spiritual Enlightenment is a self help book by Eckhart Tolle which seeks to bring about a transformation of human consciousness. It was first published in the late 1990s as a small run of 3,000 copies. Its popularity began to grow, and that growth accelerated after Oprah Winfrey recommended it in her magazine, O, in 2000 (though it was never one of her book club selections). 90 Minutes in Heaven by Don Piper is an international bestseller that has sold over 4 million copies. The book, published by Revell, is sold as an extra ordinary true story of heaven and in it Don Piper writes with the help of Cecil Murphey about Piper's reported experience of heaven after having been dead for 90 minutes and had a near death experience. On January 18, 1989, Donald Piper was driving on a bridge, on his return home from a conference of pastors. Bruce Wilkinson is the founder of Walk Thru the Bible Ministries and Walk Thru the Bible International. He is the author of the New York Times bestsellers The Prayer of Jabez and Secrets of the Vine as well as 30 Days to Experiencing Spiritual Breakthroughs and numerous other books. Bruce and his wife, Darlene, live in Atlanta, Georgia, and have three children. "My sincere hope is that this book is the closest you will ever come to experiencing hell for yourself"--Bill Wiese saw the searing flames of hell, felt total isolation, and experienced the putrid and rotting stench, deafening screams of agony, terrorizing demons, and finally, the strong hand of God lifting him out of the pit--"Tell them I am coming very, very soon! "Wiese’s visit to the devil’s lair lasted just twenty-three minutes, but he returned with vivid details etched in his memory. Since this life-changing ordeal, he has spent the last seven years studying the Scriptures to find answers and has listed more than 150 Bible verses referencing hell. A WAR IS RAGING. YOUR MIND IS THE BATTLEFIELD. Worry, doubt, confusion, depression, anger, and feelings of condemnation...all these are attacks on the mind. If you suffer from negative thoughts, take heart! Joyce Meyer has helped millions win these all-important battles-and she can help you, too. In her most popular bestseller ever, the beloved author and minister shows you how to change your life by changing your mind. She teaches you how to deal with thousands of thoughts you have every day and focus your mind to think the way God thinks. And she shares the trials, tragedies, and ultimate victories from her own marriage, family, and ministry that led her to wondrous, life-transforming truth-and reveals her thoughts and feelings every step of the way. Armageddon Oil and the Middle East Crisis: What the Bible Says About the Future of the Middle East and the End of Western Civilization In this text, originally published in 1991, Walvoord links biblical prophecy and the ongoing crisis in the Middle East as far as Armageddon is concerned. He belives that the Middle East and the oil industry will precipitate a world war. MILLIONS OF READERS HAVE PROVED THAT THE MAGIC OF BELIEVING WORKS WONDERS! For more than four decades success-oriented Americans have turned to the no-nonsense, time-tested motivational techniques described in The Magic of Believing to achieve all their long- and short-term goals: a better job, an increased income, a happier marriage, or simply a good night's sleep. Now it's your turn to put Claude M. Bristol's special "magic" into your life and into action! His tough-minded, hard-hitting message speaks directly to You. It has yielded proven results for forty years and remains as fresh and focused as ever. Learn how to: * Harness the unlimited power of the subconscious mind and make your dreams come true * Protect your thoughts and turn them into achievements * Use "the law of suggestion" to step up your effectiveness in everything you do * Apply the power of your imagination to overcome obstacles * And much more! If you seek to become more assertive in business, more fulfilled at home, more influential in your dealings with others -- you can believe in MAGIC! Louise Hay (born October 8, 1926) is a motivational author, and the founder of Hay House, a publishing company. She has authored several self-help and New Thought books, and is best known for her 1984 book, You Can Heal Your Life. "Revised & updated"--Cover. Includes bibliographical references (p. 245-252). 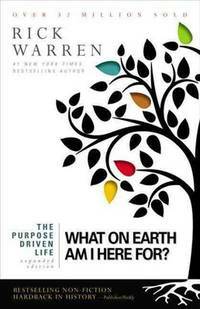 From the #1 New York Times bestselling author of Illuminata comes a book about everyday peace, everyday purpose, everyday hope, everyday love, and everyday grace.In these pages, author and lecturer Marianne Williamson acts as a guide back to the spiritual source, exploring the ways to nurture a thriving soul in a harsh world. The large and small difficulties of our days challenge us to open our hearts and minds. With an attitude of hope, a call to forgive, and a celebration of miracles, Williamson helps readers to find sacred footing on ordinary ground. For no matter what, there is always an opportunity to be happy. Everyone is entitled to the pleasures of everyday grace.